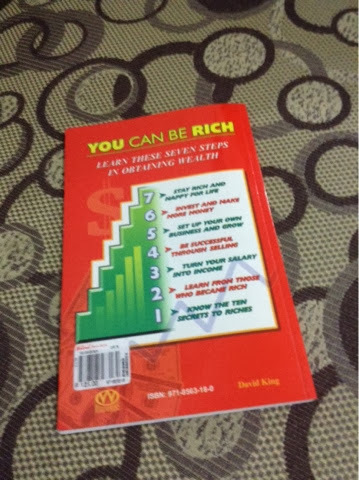 It was back in high school when this book, You Can Be Rich, has been something I am constantly seeing in bookstores. I never opened it before because it feels like it is not for Filipinos. First, the author is a foreigner and second, the picture itself shows dollars. But last month when I did a goal before 2013 ends, this was one of the financial books that I bought. It is only 125pesos so I felt like this is a good investment. 1. Know the Ten Secrets to Riches- The author shared 10 Secrets on how to be rich like learning the value of time, setting goals and so on. 2. Learn From Those Who Became Rich- A quick side story of ten richest that includes Henry Sy, Manny Villar and John Gokongwei. 3. Turn Your Salary into Income- A great read for those who base their source of income with salary. The author gave beautiful tips that are all doable. 4. Be Successful Through Selling- A brief introduction on the in’s and out’s of selling. 5. Set Up Your Own Business- An in-depth process on how you can start your own business. 6. Invest and Make Your Own Money- A bunch of information about stock investments and bank investments as well as other types of investments an ordinary person can do. 7. 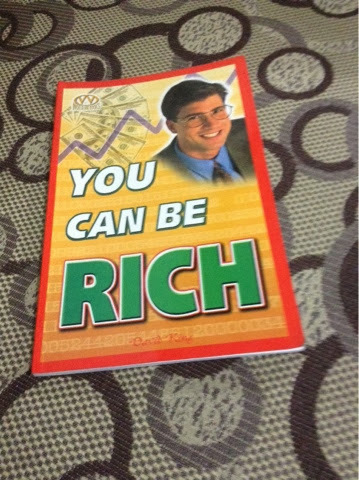 Stay Rich and Happy in Life- The author delivers a great seal of the book’s deal by explaining what true riches is. For me this book is like 7 books in ONE!!! It targets a lot of topics in a precise way. It is full of stories too for those who finds too much plain information boring. I also love the little notes or bits of information on the side boxes with dollars. 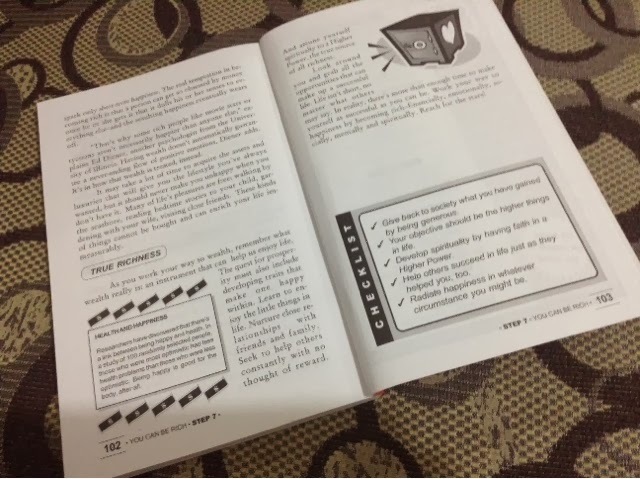 The checklist part is the summary of each chapters for easy and quick recap. Overall this book is a wonderful read. I love that it didn’t focus on attaining money but enhanced the topic by explaining the truth about rich and how to maintain it while balancing a good and happy life. You can easily find this book in all National Bookstores. Thanks for reading this post!